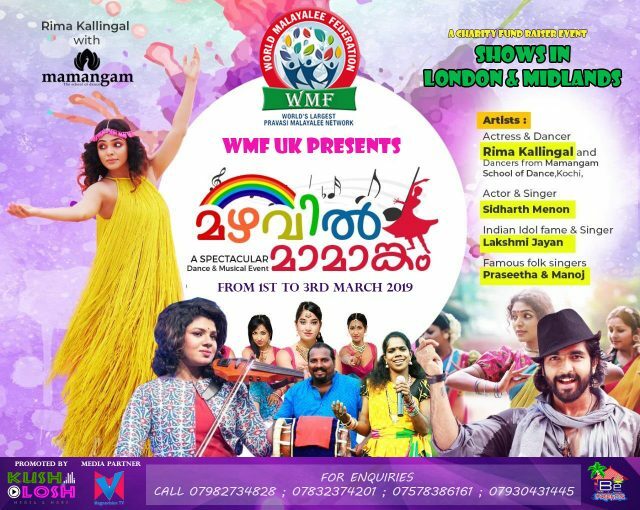 World Malayalee Federation WMF UK Chapter is ready to stir up the UK crowd with “Mazhavil Mamangam” show. Rima Kallingal, the renowned Indian film artist & dancer and her Mamangam – The School of Dance is going to perform for the first time in UK. 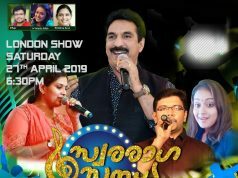 Rima is to be accompanied by Siddharth Menon renowned singer & actor in South Indian cinema, Lakshmi Jayan Official the Indian Idol fame singer, Folk singers Praseetha Praseeth Chalakudy & Manoj Karimu along with dancers of Mamangam – The School of Dance, Kochi. Rama Kallingal is one of the best performer of South Indian dance in the field of Contemporary Dance. Rima Kallingal & her team is to perform a variety of dances which will be first of its kind in UK. 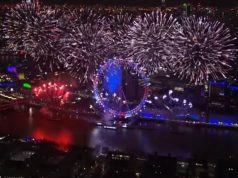 The show with the title ” Mazhavil Mamangam ” is to be staged in UK on 1st March 2019 in Coventry and 3rd March in London. 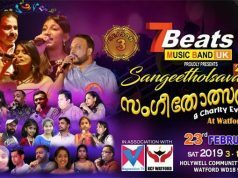 The event is promoted by Kushlosh Media and organised by World Malayalee Federation UK Chapter to meet its charity purposes. Is Mohanlal to appear in a cameo role in ‘Varikuzhiyile Kolapathakam’?